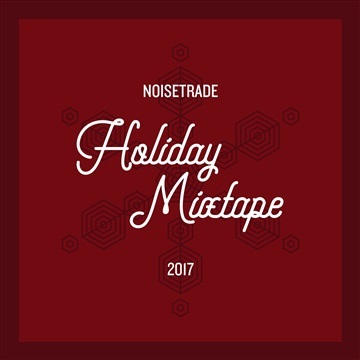 It’s beginning to sound a lot like Christmas thanks to our newest NoiseTrade Holiday Mixtape and all the incredible Santa’s little helpers that contributed their own unique sonic stocking stuffers for your yuletide enjoyment. Whether you’re trimming a tree, noshing on latke, lighting a kinara, airing your grievances, or happily doing nothing at all, you can now soundtrack your seasonal shenanigans with a wide variety of cleverly crafted originals and lovingly reworked classics. This year our holiday mixtape features stirring indie rock from Ha Ha Tonka and Sleeping at Last, warm Americana from Nikki Lane and Robert Ellis, rowdy punk rock from Ethan Luck and The Dollyrots, slinky R&B-tinged folk from Miranda Dodsen and Stacey Randol, and a little bit of everything else in between. Happy Holidays from NoiseTrade to you!